Social Media Marketing by our community engagement vision, we have been serving companies, businesses and brands in India. With Social Media Marketing, we can build high level customer engaging activities on social platforms such as Facebook, Twitter, Linkedin, Goolge+ etc. With Our management skills, technologies and techniques, We help brands to listen, understand and engage in conversations in social media. 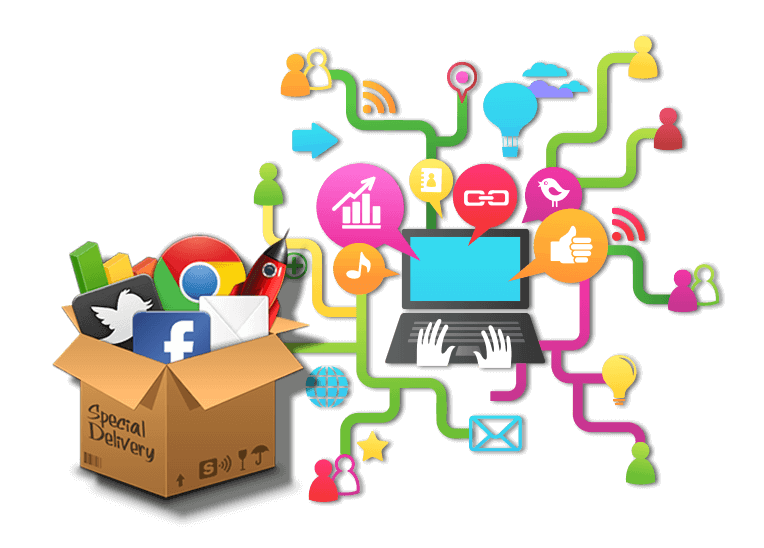 At Bizz Infotech Solutions, we create two directional communication avenues so companies and brands can engage in social media by having meaningful and transparent conversations with people who have opinions, view, reviews, feedback and even suggestion about their brand, whilst providing quantifiable metrics to measure the success.